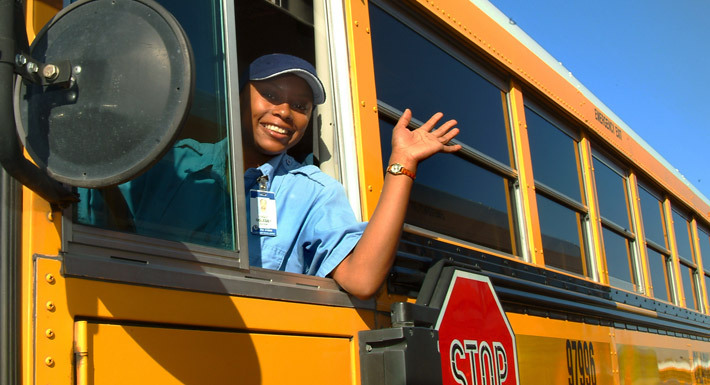 The Clark County School District Transportation Department will host a bus driver job fair Saturday, May 11, 8 a.m. – noon, at the Richard C. White Transportation Center, 4499 S. Arville St., Las Vegas, NV 89103. In an effort to reduce the shortage that is being experienced locally as well as nationally, applicants can apply onsite, and will have the opportunity to have questions answered and speak with current drivers about what duties are included as part of the job. CCSD provides paid training and assistance in obtaining the proper license. Applicants also will have the opportunity to ride in a bus around the yard to get a feel for what it is like to be a bus driver.